One of the questions that we often ask at book club is “would you pass this book on?” That got me thinking about my own personal criteria for recommending a book. I know that that’s what I do here with you…but who am I, really, to be making recommendations to anyone, right? Book love is so subjective. I read a lot of books, but not many of them would fall into the “here – you gotta read this” category. So I started to think about my own litmus test for books…what books have I read that I would definitely press into the hands of someone else? I think a book has to be well written. But that doesn’t mean that every single book I’ve loved has to be Shakespearean. Sometimes a book can be just super fun to read without all the literary bells and whistles, I am thinking about a book like …oh, who am I kidding? I took a look through the highly recommended section of my blog and really, all the books I’ve really loved have had that beautiful combination of story and character and writing. That is not to say that I haven’t read my share of books that have been fun to read, but would I insistently pass them into the hands of other readers? Do I think about them long after I’ve closed the pages? Probably not – so maybe that’s actually the test for me. Do I think about these books when I’m finished? Do I want other people to read them so we can share our thoughts? That’s the book I want to pass on. So – I’ve got three for you today, two adult and one YA read that I would heartily recommend to readers of all stripes. Let’s start with the book I just finished and which I mentioned the last time I was here as a book that I hoped would be a page-turner and man, was it ever. So, this is the story about the Courtland family, mom and dad, Grant and Angela, their 18 year old daughter, Caitlin and their 15 year old son. Sean. They are in the Rocky Mountains on a little family getaway before Caitlin heads off to college on a track scholarship. Early in the morning, Caitlin and Sean head out so Caitlin can run up the mountain with Sean following on his bike. Then, Sean gets hit by a jeep – strange first of all because they are literally in the middle of nowhere. He’s really badly hurt and when his parents get the call from the hospital they are also informed that Caitlin is missing. Fast forward a year and the Courtlands are still fractured. Dad has moved to the town where Caitlin disappeared; Sean is driving around the country aimlessly; Angela is back on the east coast living with her sister. They are all damaged. 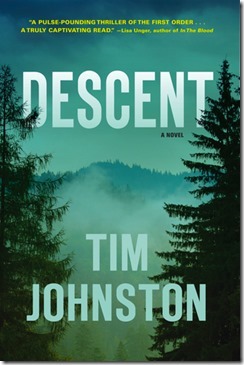 Johnston’s novel is the perfect combination of style and substance. The writing is sharp and lyrical, but it never slows the action down and – trust me – this novel has some pulse-pounding action sequences that were just so good. I would definitely hand this one over…like, not to keep, of course! This one I actually touched on a while back when I talked about starting a book club. I couldn’t stop thinking about this book for days and days after I read it. Despite the controversial subject matter, Davis’s book is so compelling, the writing so good and the characters so broken…it’s impossible not to read this book without feeling something. Our Daily Bread concerns the fortunes of two families: the Erskines who live up on North Mountain and the Evanses who live down in Gideon. Albert Erskine is different from the crack-smoking/dealing relatives with whom he lives on a sort of compound. He’s smart and he wants more from his life, but life has dealt him a particularly rough hand. Bobby Evans has it tough in another way – as he watches helplessly as his parents’ marriage deteriorates he looks for a place to belong and, strangely, he and Albert become friends. The intersection of these two young lives makes for some compelling reading, I’ll tell you that. This book is, at turns, horrific and heartbreaking, but you will fall in love with these characters – I promise. 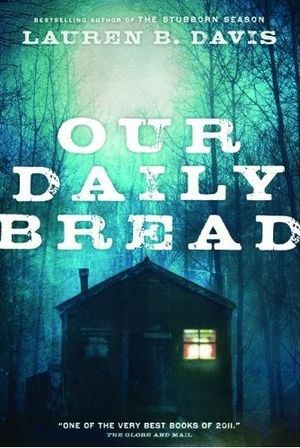 Our Daily Bread was long-listed for the Giller in 2012. Then she discovers that Frank is transgender and it forces Elle to really examine herself as a human being. What I liked about Jumpstart the World is that it never preaches. It will offer young people an opportunity to examine their own prejudices, for sure, but it also has a lot of really amazing things to say about love and family and accepting who you are. It’s really a lovely book and I would certainly press it into the hands of my students. 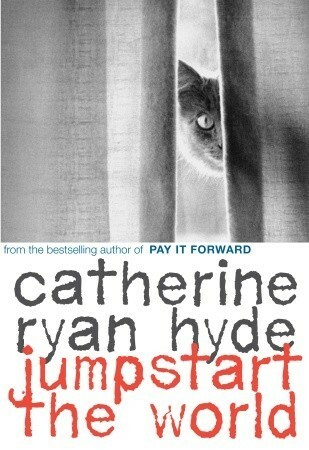 Catherine Ryan Hyde is probably best known for her novel Pay It Forward, a book I haven’t read – but I did read her YA novel The Day I Killed James and it was also excellent. This entry was posted in On the Radio and tagged 2016, CBC, highly recommended by Christie. Bookmark the permalink. I also read many books. It is such a great feeling when you start a book and realize that the author is a good writer. I agree, Margaret – especially if they are new to you and you know you’ll have other books to check out!